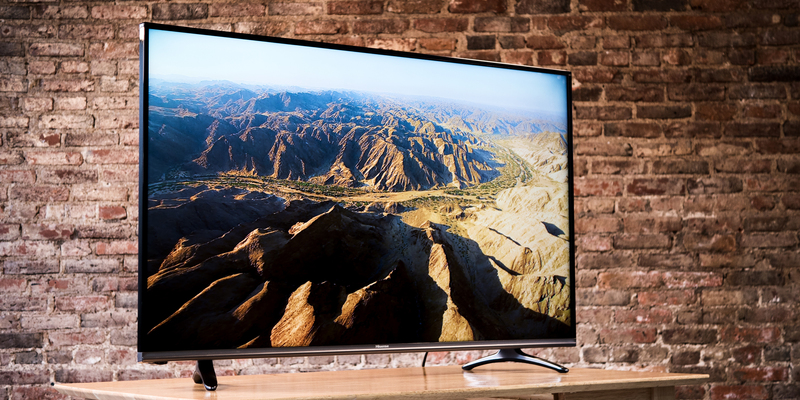 The Hisense 50H8C is a solid example of a bargain 4K TV. This $469 set is a good choice for shoppers looking to get an ultra–HD picture without having to make a long-term investment, but it means making a few notable sacrifices. While the 50H8C does justice to higher–resolution 4K content and delivers good color accuracy, it does not support the newer high dynamic range (HDR) video formats, and it doesn’t offer a wide array of smart TV connected services. Its inability to deliver deep blacks and its poor off-axis viewing will put off some viewers. At 50 inches, this Hisense is also smaller than the most popular 55-inch screen size favored by today’s buyers. However, the smaller dimensions may make this set more appealing to apartment dwellers.